Please note: item comes bagged, not in Playmobil blue boxes. 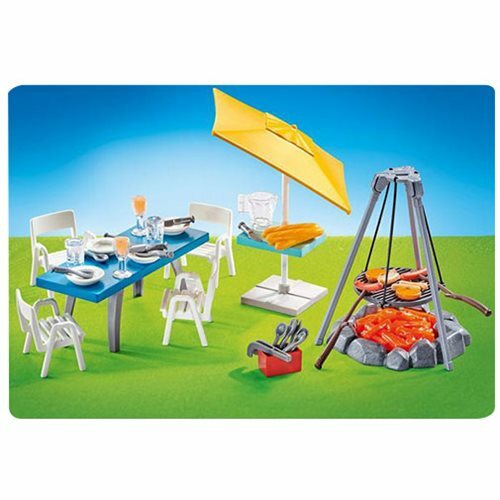 Let's have a party with the Playmobil 9818 Barbecue with Seating Area! Glasses, plates, a flame pit, an umbrella, chairs, and a table are all here to ensure you have a great time. Get an understanding of the meat (included) by speaking to it in its native tong (also included). Ages 4 and up.